We’d love your help. 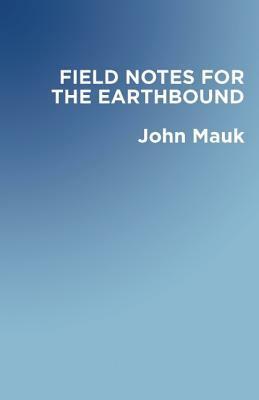 Let us know what’s wrong with this preview of Field Notes for the Earthbound by John Mauk. Cursed by tenderhearted witches, saved by Nazarene healers, and haunted by brazen lunatics, the characters in Field Notes for the Earthbound yearn to escape the relentless horizon of northwestern Ohio. John Mauk received his PhD from Bowling Green State University and teaches at Miami University in Oxford, Ohio. To ask other readers questions about Field Notes for the Earthbound, please sign up. I'm biased because the author is a good friend, but I really enjoyed this novel-in-stories. The writing was well-crafted without being overwrought, the characters are recognizable to anyone who grew up in the rural Midwest but still idiosyncratic enough to feel like real people and not caricatures. A good read.